Great Impressions: A Card and A Winner! Great job with this card. i just stamped this cute little mouse. I love the snowflakes. Jenny, this is so bright and cheerful. Love the paper combos as well. Maybe if it's a warm winter you can take up snowshoeing and join in in that "magical white". I do, it's great! I love the dimension on your card! These mice are adorable! Your card is terrific. Thanks for the win, I can't wait to go shopping! What a cutie! The Great Impressions mouse designs are adorable! Love the 'snowman' flakes! 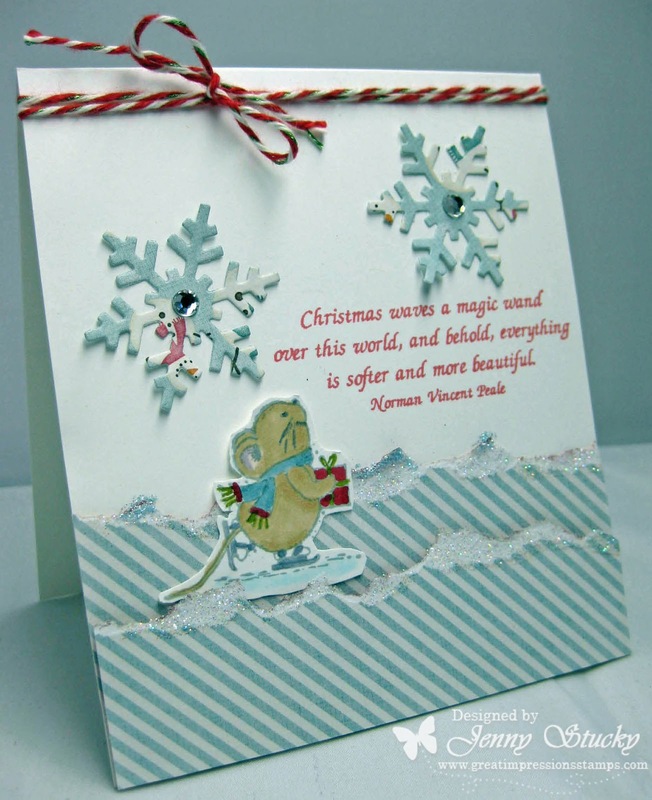 This is darling...love the pretty country blue papers you used for your winter scene as well!